Earlier today, the tax deal that drove Tesla to Nevada was finally revealed and it was major - $1.25 billion over 20 years. Let's take a moment and look at what it is and, just as importantly, what it isn't. 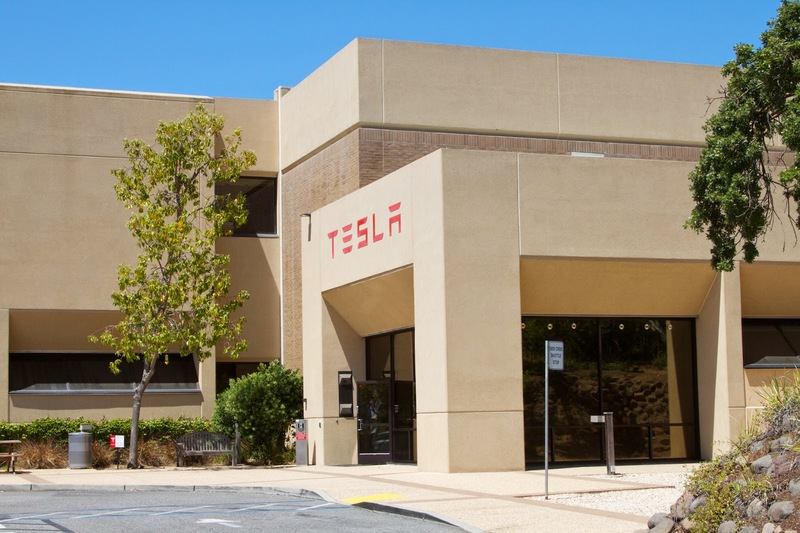 Nevada's paying Tesla $1.25 billion? No. What Nevada's doing is promising not to collect certain taxes from Tesla for extended periods of time (primarily by not charging sales or property taxes). The total is estimated to add up to $1.25 billion during specified periods (20 years for sales taxes, 10 years for property taxes, plus other breaks). Considering how there's no factory there now, Nevada's not losing money on this - it's just not getting any of the money it would normally collect from a new factory. Now, if the sales and property tax breaks also apply to current and future Tesla dealerships, that actually would be money that Nevada's taking off the table since Tesla already has a dealership in Las Vegas, though I'm not 100% sure if that's a franchise or a factory-owned one. This, coincidentally, is why Nevada's not able to arbitrarily pull $1.25 billion out of its hat for education or anything else - in order to give education (or whatever) $1.25 billion, Nevada would actually have to collect it in taxes from someone first. In this instance, Nevada's just going to continue to not collect tax money that it's already not collecting right now since Tesla doesn't have a tax paying factory in Nevada presently. But Tesla's using Nevada's infrastructure, right? Right, and, in fact, Nevada's promising to add additional infrastructure by buying out USA Parkway - currently a privately owned street - and extending it all the way to US 50. That purchase, coincidentally, is less of a handout to Tesla and more of a handout to Lance Gilman and the owner of Tahoe Reno Industrial Center, who's been trying to get Nevada on the hook for USA Parkway for years. It's also one of the few spots where Nevada's actually spending money instead of simply not collecting it; to pay for that purchase, along with whatever improvements will be necessary to get USA Parkway up to state highway standards, will need to come from somewhere. Assuming the package being announced today sticks, it's primarily going to come from the insurance and film industries, which had special carve-outs previously. So how does Nevada come out ahead? In business terms, it's best to think of Tesla's factory as a "loss leader". The idea is to get the factory here without collecting anything from it, then watch as the factory workers drive up property values, improving property tax receipts, while buying more in state, driving up sales tax receipts. This doesn't get into "indirect" business support, like whatever taxes construction companies will end up paying in the process of building the factory, what taxes will be collected from the lithium mine(s? ), and so on. The state won't receive as much as it would receive if Tesla paid all of its taxes like other companies would, but the financial picture should still be better than it would be if Tesla's workers weren't here making money and if Tesla's local vendors weren't making money from Tesla. This wouldn't be the first time that a small state tried to land a new automotive company, succeeded, and then lost its shirt. New Brunswick, for example, loaned Bricklin $4.5 million to build a factory; it was never paid back and nearly bankrupted the provincial government. Northern Ireland's government, meanwhile, lost money when Delorean's factory closed shop in the '80s. The good news is that Nevada's not actually loaning or giving any money to Tesla - thankfully, that's illegal in this state - so there's little risk of the sort of exposure that hurt New Brunswick and Northern Ireland in the last century. The bad news is, if the factory doesn't work out and Tesla goes bankrupt, there's going to be a big mess to clean up out there and very little money to pay for it. The market for "used electric car factories" is not particularly robust, to put it mildly, so, were Tesla to go bankrupt, it's a near-certainty that the factory, or at least the shell of it after the banks sold off any valuable equipment inside, would end up sold off at a steep discount in a property tax auction. What do I like about this deal? We're not spending much money on this. The only money Nevada is spending out of pocket is the money required to get USA Parkway up to speed - I'd rather we didn't do that, but it is what it is. The electricity discount is also a little worrisome; I'm assuming without looking at the details that Nevada would just be waiving any taxes that Tesla would normally pay on their power bill. Obviously, the benefits in terms of well paying, skilled jobs and economic diversification speak for themselves. Reno's been doing a pretty good job of transitioning into a post-casino economy; if Tesla's factory comes in and is successful, that should finish the job. Also, as someone that works at a vocational school that is effectively training students in fields that Tesla will be interested in (welding and industrial electronics), it's good to know that our placement rate should be high enough to keep me employed for a while longer. What don't I like about this deal? Tesla won't be the only company to get a deal like this - legally, it can't be. The legislature is going to have to write Tesla's tax breaks in a way where other companies can theoretically receive them. Granted, the legislature can set those conditions pretty narrowly - Nevada's "no brothels in counties with over 700,000 people" law is a fine example as it effectively bans brothels in only Clark County since it's the only one with over 700,000 people in it. However, other companies, knowing that these sorts of tax breaks are available now, will ask for and expect them if we want them to move to Nevada. That's not a good precedent. There's also the issue of whether Nevada should be waiving taxes for some businesses and not others. It's my sincerest hope (though I'm not particularly hopeful on this) that the negotiations with Tesla revealed to Nevada's politicians which taxes are particularly onerous for non-gaming businesses in this state and should thus be restructured or, better yet, removed entirely. Considering Nevada's long, arduous history of carving out special tax exemptions for various industries - mining, for example, has had one baked into the Nevada Constitution since 1989 - however, this is one bet I wouldn't take. Finally, battery factories may be cleaner than they have been previously, but you're still talking about a lot of toxic metals being placed in an area that's awfully close to one of Nevada's rare above ground freshwater sources. If Tesla's financial position sours, or if someone slips up, and they lose track of what's going where, Pyramid Lake is going to be in for a rough time. Obviously, as the details flesh themselves out and the Special Session starts, I'm sure everyone in Nevada will find something else to love and hate about this deal. In the meantime, Jon Ralston is keeping a live feed going on Twitter for those that wish to keep track of today's developments as they happen.